Whether you want wood, vinyl, or plastic, Specialized Fitness Products will help you create a traditional or unique aerobics floor. Our Aerobics TileVinyl gives you the appearance and performance of wood for a fraction of the cost. Aerobic Tiles is a great, cost-effective choice for an anti-fatigue, resilient floor. WoodVinyl is totally pre-finished and ready to assemble. All of our aerobic flooring products will allow you to create a beautiful, resilient, aerobics floor with excellent performance. Get the appearance and performance of wood for a fraction of the cost. 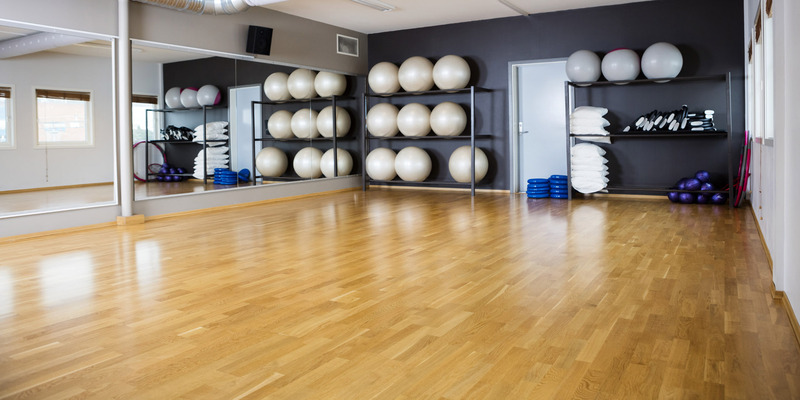 Impact TileVinyl is a durable, snap-together modular flooring solution for a wide variety of aerobic activities.The Aerobics TileVinyl tile never needs refinishing, plus it is low maintenance and easy to clean. With an optional 3mm rubber underlayment, Aerobics TileVinyl provides a cushioned surface that absorbs shock to reduce stress on joints and fight fatigue. Aerobic Tile – is a great, cost-effective choice for an anti-fatigue, resilient floor. Each 12″ x 12″ tile has over 250 raised discs along with 3/4″ thick resilient, air support. Aerobic Tiles have similar performance characteristics as a floating hardwood floor with a built in sub-floor. 35 lbs. of pressure is all that’s needed to activate the sub-floor; making it very forgiving on ankles, joints, and lumbar. This exclusive design easily places Aerobic Tiles above hardwood floors in resilience and far below in cost. Combining versatility with practicality, Aerobic Tile are the most cost-effective product for any up and coming gym or aerobic studio. Combine colors for a sleek modern floor design, or create a one-color uniform floor. Either way your floor ends up a winner. Light Gray, Dark Gray, Royal Blue, Pool Blue, Forest Green, Red, and Yellow. WoodVinyl is a multi-purpose sports flooring with the look of natural wood and the performance of a multi-purpose synthetic floor. Floating Wood Flooring is an exceptional hardwood designed floor that combines form and function. Floating Wood Flooring is the revolutionary “click and go” transportable hardwood floor with an integrated spring sub floor, ideal for aerobics and multi-purpose dance. Floating Wood Flooring features include pre-finished real hardwood surface and requires no adhesives, screws, or nails, for installation.